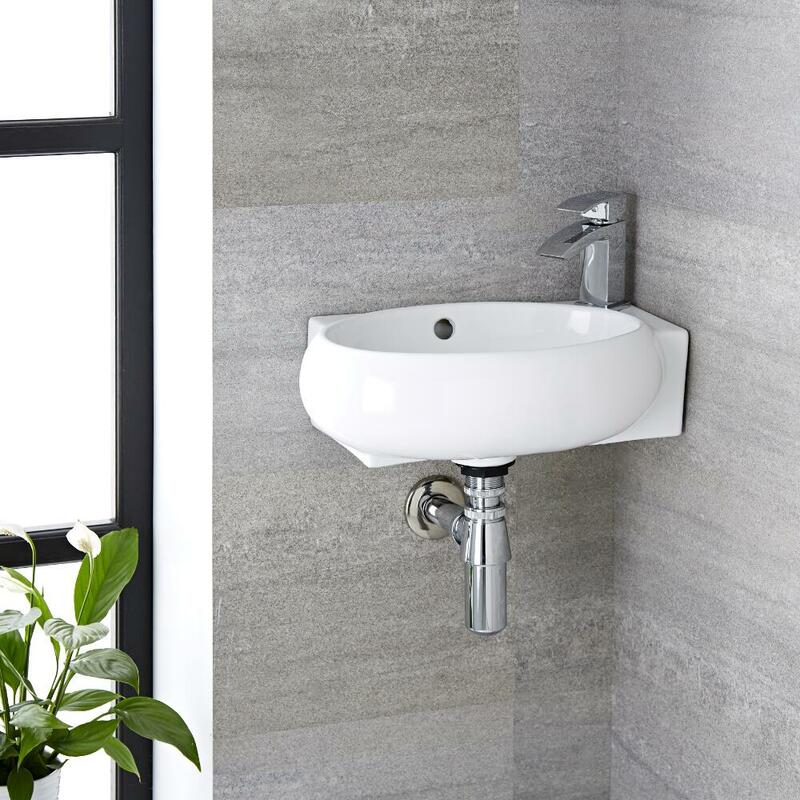 Saving space and creating a contemporary look is easy to achieve with the Milano Irwell 430mm wall hung corner basin and mono mixer tap set. 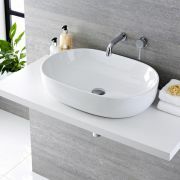 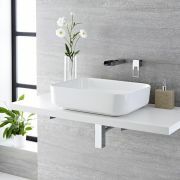 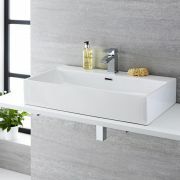 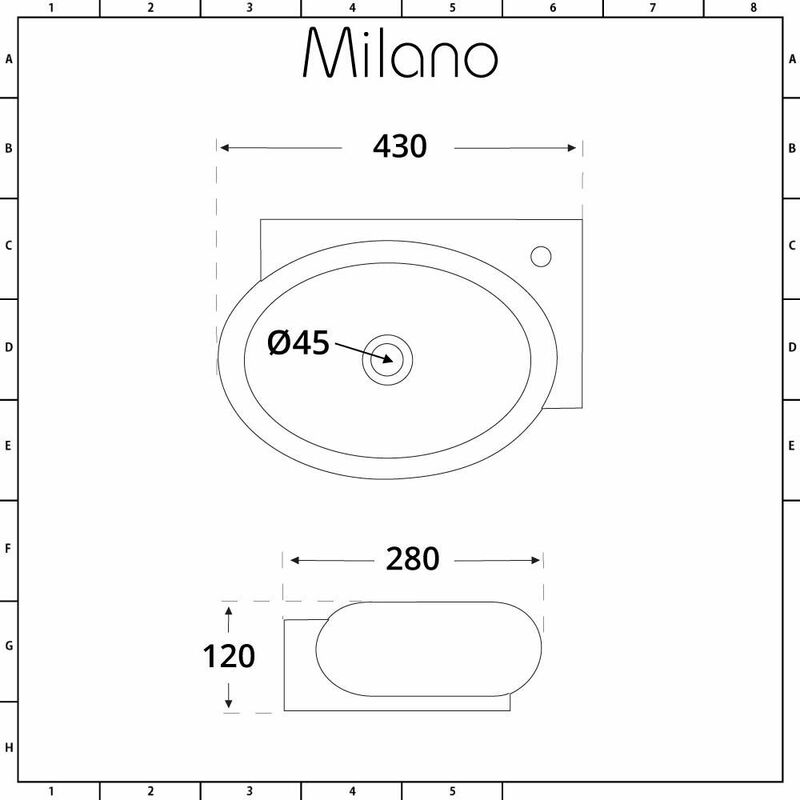 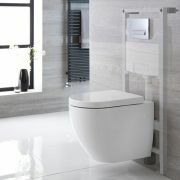 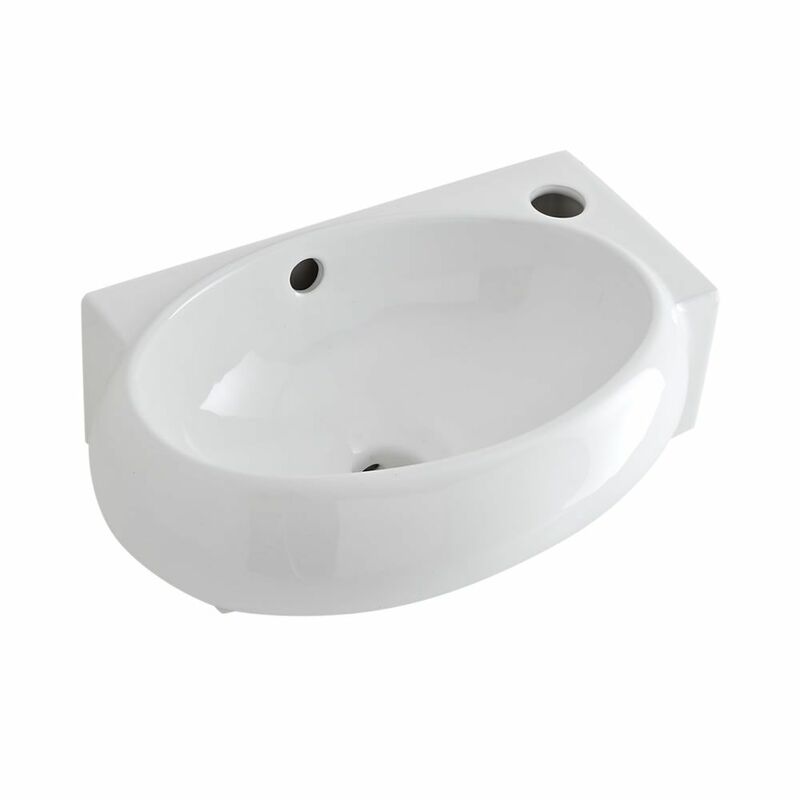 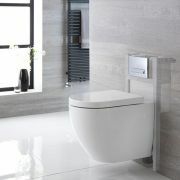 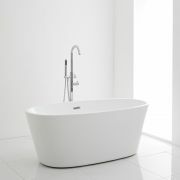 A great option for small cloakrooms, the basin features a space-saving wall hung corner design and smart, modern looks. 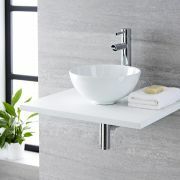 It has been crafted from premium quality ceramic with a hard-wearing white glazed finish that’s easy to clean. 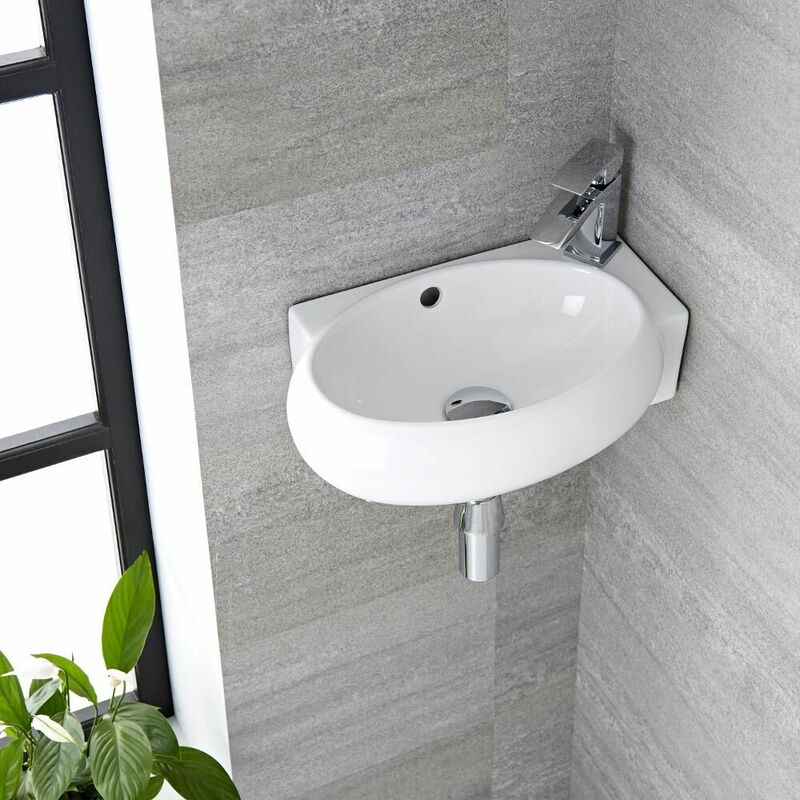 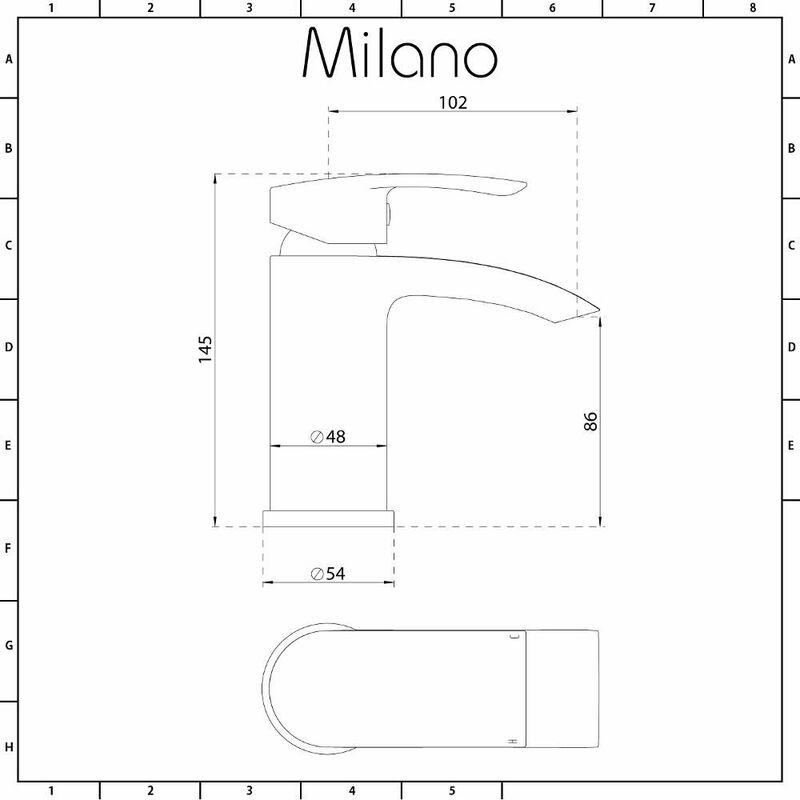 The mixer tap perfectly enhances the design of the basin. 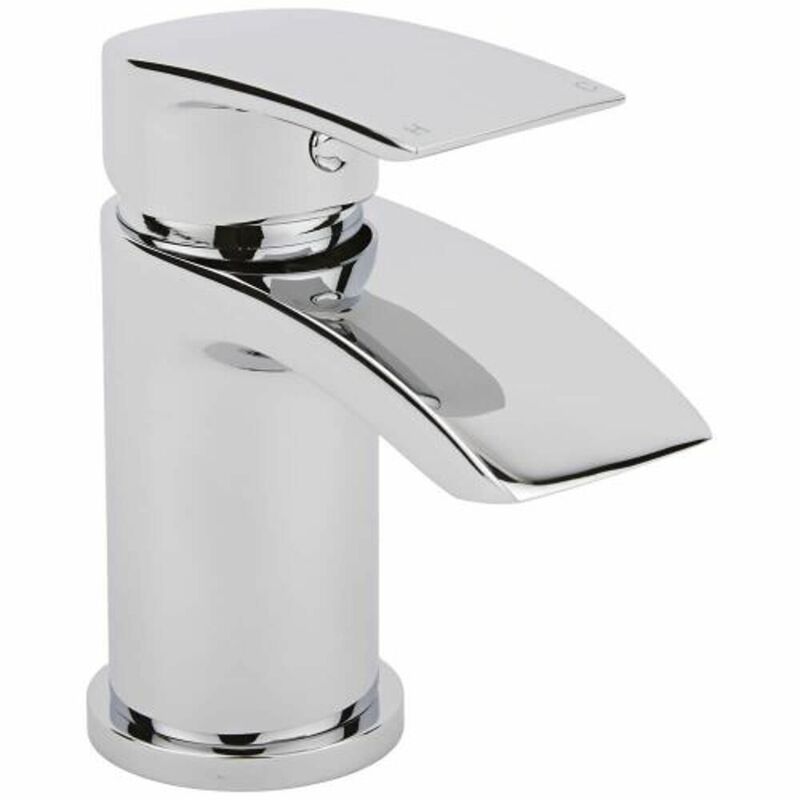 Made from solid brass, it has a chrome finish and an easy to use lever handle that controls the water flow and temperature.